� Batman is a new recruit in the mighty Justice League, but the team will be immediately tested by a very Neo Gotham-related enemy! How will they work together to combat this threat? 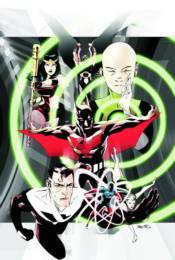 � Collects stories from BATMAN BEYOND UNLIMITED #1-10.